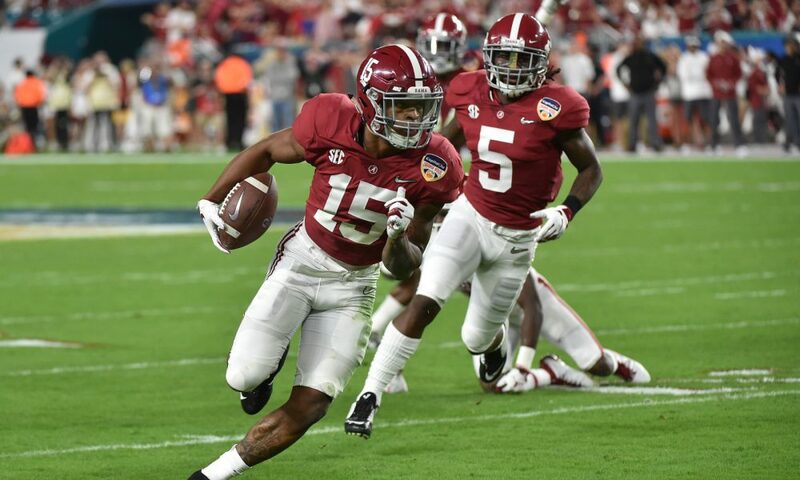 Deionte Thompson was the quiet type; however, the enforcer that shared the secondary with him in Alabama’s national championship loss wore his emotions on his sleeve. Like his head coach and his home state, Xavier McKinney is an intense person. He does not like to come up short and when it happens, the former four-star is prepared to quickly find a solution. McKinney’s mentality as a “thumper” in high school drew comparisons to former Tide safety, Landon Collins. As good as the New Orleans native was, McKinney has transitioned into being a coverage defender faster than Collins at Alabama. His first season as a starter was successful in 2018, as the native Georgian finished third on the team in total tackles (74) and had six stops for loss, three sacks, 10 pass breakups, two quarterback pressures, two forced fumbles and two interceptions (one touchdown). With Thompson heading to the National Football League, McKinney emerges as a marquee leader and has a chance to turn in a strong tape for the pros too. The 6-foot-1, 197-pounder will have a new position coach, seeing how Nick Saban has hired Charles Kelly from Tennessee. Kelly coached safeties last season under Jeremy Pruitt and oversaw a unit that forced nine interceptions. In his nine years of experience with defensive backs, Kelly’s finest work came during his stints in the Atlantic Coast Conference with Georgia Tech and Florida State. Between the two schools, both secondaries combined for 114 picks. Kelly produced a trio of NFL studs in Tarvarus McFadden, Derwin James and Jalen Ramsey from the Seminoles, while mentoring Morgan Burnett at Georgia Tech. For McKinney, the rising junior will be able to watch his stock grow from working with a seasoned veteran and one that has accomplished a national championship also. Kelly was on Florida State’s 2013 BCS national title roster. It will be interesting to see how the working parts mesh together with Saban’s personality, but seeing how it is a mixture of familiar faces and long-tenured coaches, the lone thing on their minds in getting the Crimson Tide back on top of the mountain in college football. Spring practice will be the start of money season for McKinney.